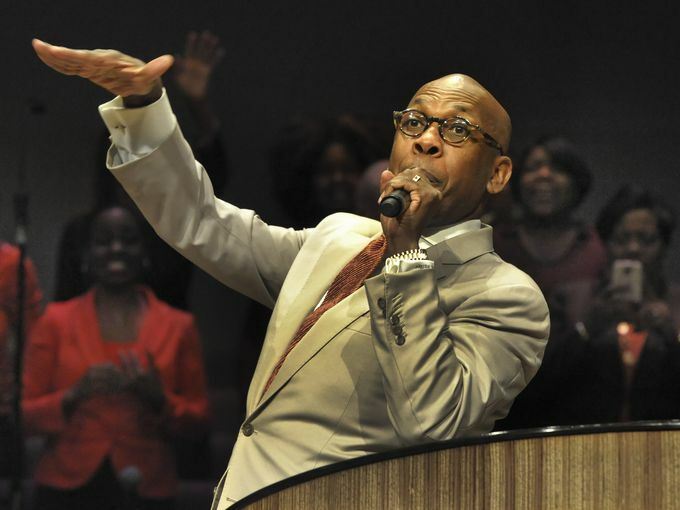 Path MEGAzine > Articles > Blogs > Full Gospel’s Bishop Joseph W. Walker Gets Show on BET! Full Gospel’s Bishop Joseph W. Walker Gets Show on BET! Bishop Joseph W. Walker, III, Nashville-based Senior Pastor of Mount Zion Baptist Church and Presiding Bishop of Full Gospel Baptist Fellowship International, will become the new featured minister on Black Entertainment Television (BET), called “The Relevant Word.” He will be bringing his message of hope in Jesus Christ to homes across the country beginning Sunday, March 5. Bishop Walker follows in the footsteps of other influential black ministers who have regularly hosted programs on BET. Bishop Walker’s theme, explored weekly, will be “hope” and his messages will encourage listeners to believe in a better life and a better world regardless of circumstances — whether economic hardship, political turmoil, mental anxiety, or physical illness. Bishop Walker will help listeners gain a greater understanding of the biblical definition of hope as a “confident expectation” that, even though aspects of life are unknown and unclear, we are born to fulfill a true destiny. A native of Shreveport, Louisiana, Walker received a Bachelor’s degree from Southern University in Baton Rouge; a Master of Divinity degree from Vanderbilt University and a Doctor of Ministry degree from Princeton Theological University. He also holds two honorary Doctorates from Meharry Medical College and Southern University. At the age of 24, Bishop Walker began his pastorate at Mount Zion with just 175 members. Today, the ministry stands at more than 30,000 souls with three locations in the Nashville area. Bishop Walker’s stirring oratory and pastoral approach draw people of every age and from every walk of life to the Word of God. The Relevant Word set to premiere on March 5, 2017 and will air every Sunday at 6:30 a.m. EST/5:30 a.m. CST. This entry was posted in Blogs, World News and tagged BET, Bishop Joseph W. Walker, III, The Relevant Word by Kris Patrick. Bookmark the permalink.